The race for both the title and a top four finish took another twist on Sunday. Manchester City ultimately eased past Crystal Palace in the early kick off, as a Raheem Sterling double and a late Gabriel Jesus goal sealed a 3-1 win. Liverpool faced a tougher ask in their welcome of Chelsea, yet second half strikes from Sadio Mane and Mohamed Salah saw the Reds overcome their west London counterparts at Anfield for the first time since 2012. Successive 2-0 defeats on trips to Merseyside have dented Chelsea’s chances of Champions League football next season and having played a game more than both Tottenham and Manchester United in third and fifth, respectively, their quest for a top four finish has been handed a significant blow. A meeting with the latter at the end of the month may now prove decisive with Chelsea now at [2.32] to secure a top four finish. Sunday’s result may have been a blow for City in their title defence, yet it will have been welcomed by Tottenham, who remained third following their resounding 4-0 win over Huddersfield in Saturday’s early kick off. With home advantage set to play a part – Spurs have won their three matches at the Tottenham Hotspur Stadium following their return to north London, beating Crystal Palace, City and Huddersfield, scoring seven and conceding none – and they have a favourable run in. Yes, Spurs still have to travel to City, who they face next weekend at the Etihad Stadium, three days after the pair meet in the Champions League in Manchester, but with three of their remaining five games coming at the Tottenham Hotspur Stadium, and the other away game at a Bournemouth side Spurs have beaten five times in the last six meetings, backing Mauricio Pochettino’s side to secure a top three finish at [1.9] on the Exchange is good value. That being said, north London rivals Arsenal could be viewed as have the easiest run in of the four teams pursuing the final two top four spots. With the Gunners done with their top six rivals in the league for another season, the highest placed team they’ll face between now and mid-May is seventh placed Leicester, who on Friday proved they’re far from the finished article under Brendan Rodgers. Trips to Watford, Wolves and Leicester, however, are banana skins for the Gunners. 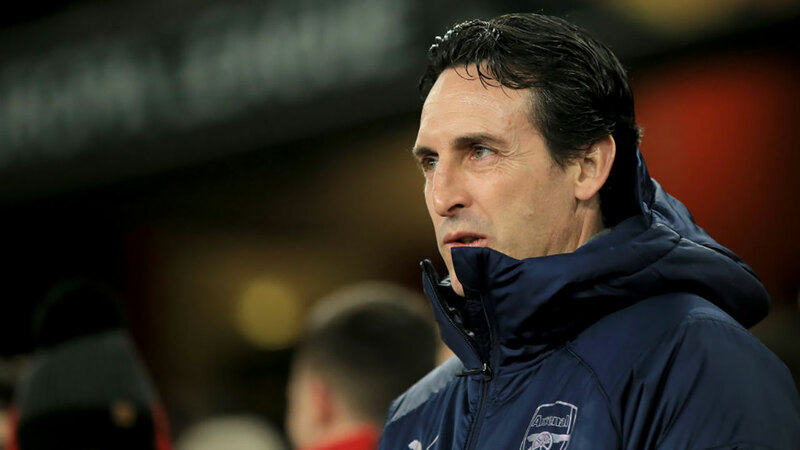 Under Unai Emery, Arsenal have won only five away league games this season and only one of their last nine on the road, that coming at relegation fodder Huddersfield. Arsenal are yet to beat a top-10 team away from home since beating Bournemouth in November (who were eighth on the day) and Watford, who have won their last three home matches, will fancy their chances of stalling their pursuit of a top four finish. Indeed, the Hornets are at a tempting [3.35] to repeat last season’s home win over Arsenal. Arsenal to secure a top three finish at [4.2] may be tantalising, looming trips to Watford, Wolves and Leicester, and taking into account their dire away record this season, you can expect those odds to lengthen over the coming weeks, so much so that there is perhaps better value in shorter odds to be found elsewhere in Arsenal. Indeed, the Gunners to finish in the top four may be a safer option at [1.95] and they will move to within a point of Tottenham if they beat Watford on Monday night. With a better goal difference (+25) than both Chelsea (+21) and Manchester United (+19), a point at Vicarage Road on Monday night would be considered a step in the right direction, with a draw enough to leapfrog the latter into fifth. It’s perhaps this reason why United at [10.0] are the rank outsiders to finish in the top three of those pursuing third spot. The glean has come off Ole Gunnar Solskjaer’s appointment in recent weeks, with their narrow 2-1 win over West Ham on Saturday just their second competitive win from their last six matches, the other a 2-1 home victory over Watford, in which they were hugely underwhelming. Of those chasing a top four finish, they have the most difficult run in as meetings with Everton, Chelsea and City suggest. Granted, they end the campaign against Huddersfield and Cardiff, however, they’ll need to earn positive results against the aforementioned trio if they are to guarantee Champions League football via the league next season. As we enter the final stretch, it’s Spurs who remain in the drivers’ seat in the race to finish third, even accounting for their huge dip in form that saw them lose four in five prior to their first home game at their new stadium against Crystal Palace. However, Pochettino’s side have previous at falling at the final hurdles, yet with less than a month of the season to go, you’d expect Spurs to wrap up third spot come full time on May 12th, at the latest.